The old PC games were always a blast to play back in the DOS and early versions of Windows. The graphics weren’t the greatest but, they were great at the time. In this post we will relive the past and get DOOM 2: Hell on Earth running on Windows 10. So how are we to achieve this? In this case we are going to use Chocolate-Doom. Chocolate-doom supports the following programs. Open your trusty browser and go to https://www.chocolate-doom.org/wiki/index.php/Chocolate_Doom and download Chocolate-doom. It will be a zip file. Unzip the file and wait. Now we need to install DOOM2 from your CD. Copy the extracted Chocolate DOOM contents into the DOOM 2 installation directory. Now we are ready to play!!! 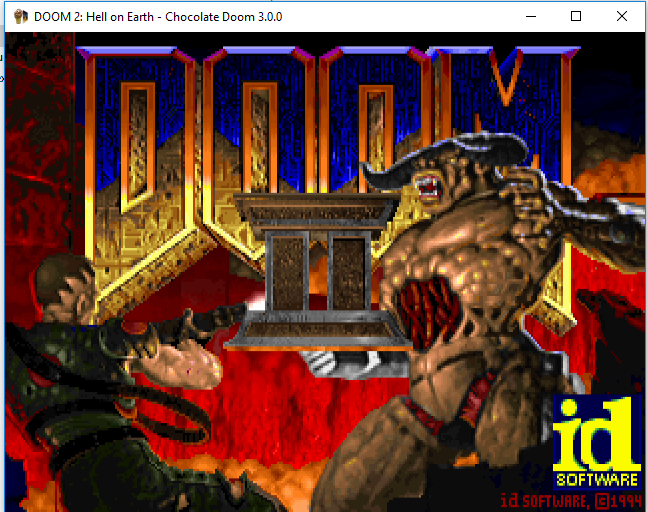 double-click on chocolate-doom.exe and DOOM 2 will start in full screen mode. 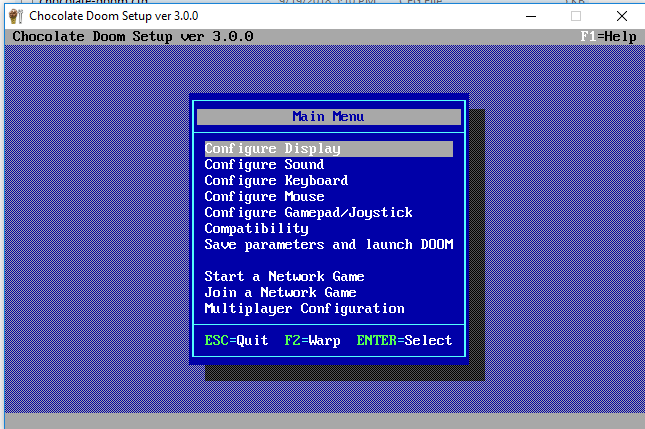 If Fullscreen is too ugly then you can change settings by running chocolate-doom-setup.exe. Select Configure Display and make your selection and save the changes. Hope this brings back memories and many hours of playing a classic. Do you know of an issue between this and 64bit windows? For this post I used Windows 10 64-bit edition. No issues running DOOM 2 in this manner.